Gorgeous silk red carnation pomander kissing ball. 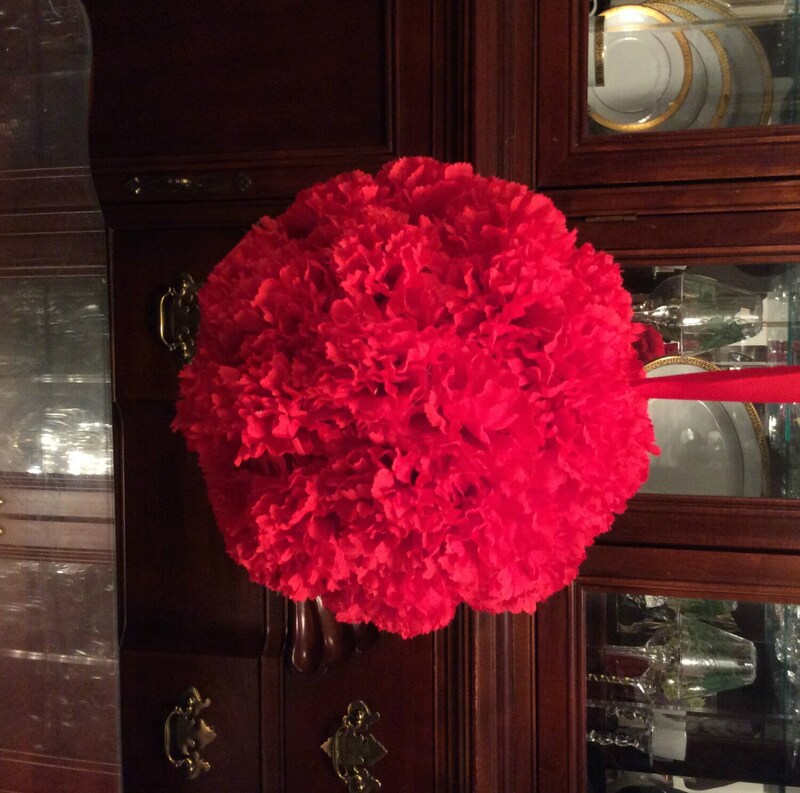 Use this lovely kissing ball in addition to your wedding flowers to create a wedding arch, hang along aisles as a boundary, or have the flower girl carry. A symbol of love and commitment, our kissing ball adds a touch of wonderment to any celebration.